Empowering Young people and the local community to make informed choices for their future and the future of others. Developing young people who care about their environment, their neighbours and themself and are willing to step up to the challenges and make a difference. 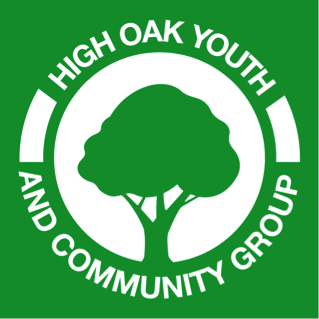 High Oak Youth Group was established September 2003 as a unincorporated group. It was set up in 2012 as a company limited by guarantee to incorporate the new work we were carrying out. The group was set up to provide a safe and friendly environment for young people to go. High Oak Youth and Community Centre work with people in all aspects of life. We work with people to improve their spiritual, mental and physical lives. High Oak also works to encourage people in the community to get involved in social action and improving their community and their own lives. High Oak has considerable experience of partnership working to meet the needs of local communities. The group is funded through fund rasin, dontaions and grants. High Oak does not have charity status but operatatres within charity objectives. We are working toward becoming a charity in the near future. High Oak has been delivering youth and community projects working with Volunteers, hard to reach, disengaged young people and communities for the past 14 years. High Oak is seen as a doing organization with a strategic role, achieving high quality, innovative and competitive outcomes in a professional and financially sound manner. The projects are SMART (specific, measurable, achievable, realistic and in time-frame).